The ASA Educator and Approved Centre Conference 2016 took place on 1 – 2 December at Burleigh Court, Loughborough University. We received some useful feedback and responses which are outlined below. Ninety-six per cent of you rated the pre-conference administration as outstanding to good which makes a four per cent rise from last year. We do recognise that there are always improvements to be made which we will endeavour to meet for next year’s Conference. During the Conference you had the opportunity to ask any questions and leave them with us to provide you with an answer on a later date. Q: Why are the TOPs for swimming activity cards not available as an ASA Framework resource and only for NCTP? 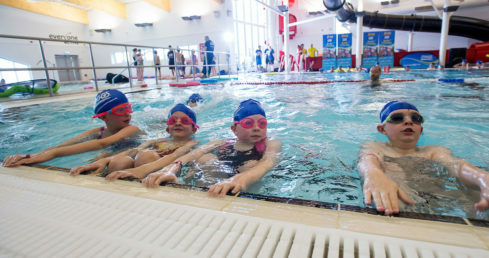 The NC activity cards are a resource that has been developed to support school staff deliver school swimming and water safety. The information on each card is linked to the National Curriculum Physical Education outcomes which is discussed on the NCTP. Therefore, this is a supporting resource for all school staff that attend the courses to go out and deliver the fun activities and meet all the PE outcomes and not the ASA LTSF. Q: What is happening with coaching courses? Are non-IoS tutors going to be approached about delivery or are we now surplus to requirements? ASA coaching certificates will now be delivered via the IoS only. If you wish to deliver coaching courses for the IoS, you will need to approach them. Q: Can Educators purchase resources at a discounted rate? Workforce Support are currently in discussion with various other departments with regards to this and hopefully we will be able to offer discounts to you in the future. So watch this space! If you have a question about Workforce Services check out our FAQs for answers. Apply for a new licence online, or renew an existing one. Go to our Educator Licencing page.